Bush signed the proposal over the objections of several Republican lawmakers. 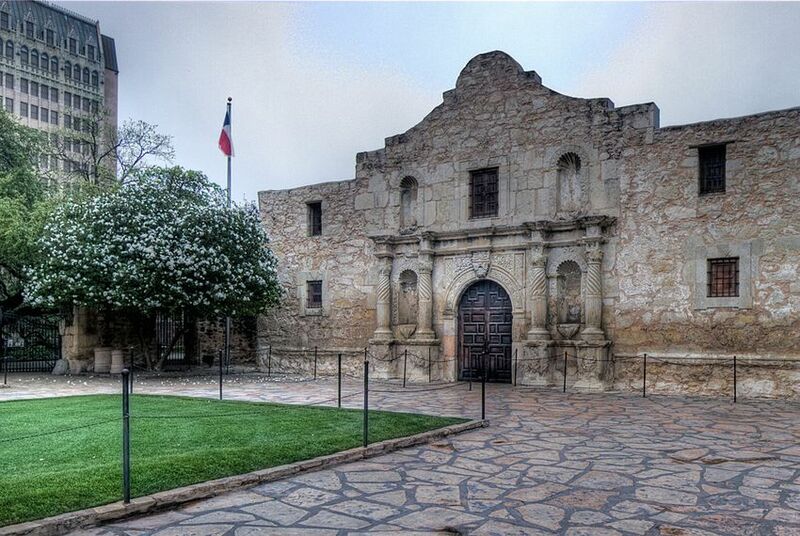 Texas Land Commissioner George P. Bush has signed a proposal to overhaul Alamo Plaza, he announced Thursday morning. "Yesterday I signed the resolution advancing the Alamo plan," Bush tweeted. "I ask the mayor to join me in executing this plan to treat the Alamo with the respect and reverence it deserves. God bless the Alamo and God bless Texas." The proposal, which has drawn backlash in recent months from some Republicans in the Texas Legislature, was unanimously approved last week by the Alamo Management Committee and then sent to Bush and San Antonio Mayor Ron Nirenberg. Nirenberg's office told The Texas Tribune on Thursday afternoon that there are still a number of steps to work through before the mayor can approve the plan. Bush's announcement comes the day before a number of Republican lawmakers, including state Rep. Kyle Biedermann, were scheduled to hold a news conference on Alamo grounds opposing the plan. A spokesperson for the group confirmed Thursday afternoon that they still planned to hold the event. Another state lawmaker, state Sen. Donna Campbell of New Braunfels, penned a Sept. 6 letter to Bush highlighting her concerns over relocating the Alamo Cenotaph, a 60-foot-tall monument currently located near the center of the Alamo Plaza. The overhaul plan, according to news reports, suggests moving the Cenotaph about 500 feet south. There's also the question of how the state's regulatory requirements would impact the project. In a letter dated Aug. 22, Texas Historical Commission Executive Director Mark Wolfe clarified to Bush and Nirenberg the role the commission plays in the decision-making process. Wolfe said "work on, or alterations to [state archaeological landmarks] requires the issuance of a permit by the THC," adding that since the Cenotaph is on Alamo grounds, it is subject to those same provisions under state statute. Bush's office told the Tribune on Thursday afternoon that it plans to request permits for items owned by the General Land Office when appropriate. The office also said that the city of San Antonio owns the Cenotaph and would be responsible for requesting a permit to relocate it. Nirenberg's office said in a statement to the Tribune that San Antonio "will go through every regulatory agency required." Meanwhile, another debate over the Alamo has recently dominated Texas headlines. After a working group of the State Board of Education had proposed removing “heroic” when defining Alamo defenders from the seventh-grade social studies curriculum, Gov. Greg Abbott and other Texas elected officials — including Bush — called on Texans to stop what Abbott described as “political correctness” in schools. The board changed course after the backlash and tentatively voted earlier this week to keep the language intact.